The Pea Fence provides an easy, sturdy support system for all of your English peas and field peas. 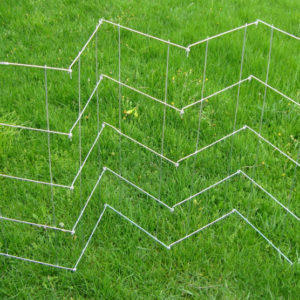 The trellis has hinged panels that you can conform to any shape and collapses for easy storage at the end of the growing season. MADE IN THE USA! Everyone loves fresh peas, but supporting them with poles, twine and netting can be a hassle. Our Pea Fence provides the easy solution to providing support and plenty of room for your peas to grow. Keep your pea plants off the ground to reduce pests and rot. 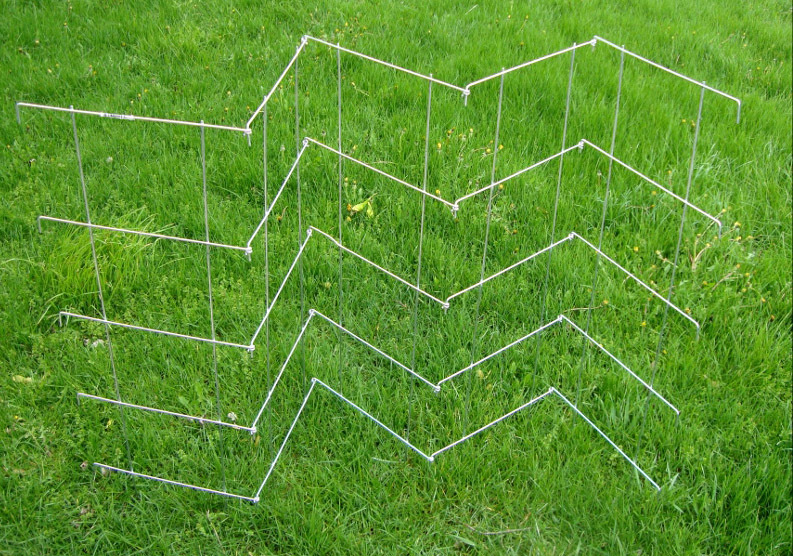 This pea trellis is made with 8 hinged panels that can be folded to conform to any shape. Simply zig-zag the panels through your row of peas and push the Pea Fence into the ground. It is made to last and constructed with heavy 9 gauge wire and large openings for easy harvesting. The trellises easily fold for compact storage at the end of the growing season – reusable year after year! Also can support tomatoes as well as cucumbers and other vine crops.